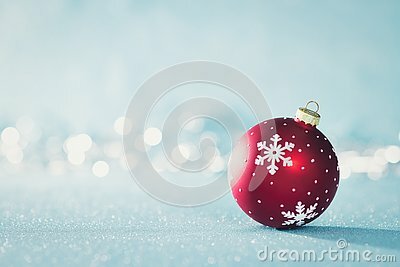 Bright Red Christmas Bauble in Winter Wonderland. Blue Christmas background with defocused christmas lights. Bright Red Christmas Bauble in Winter Wonderland. Blue Christmas background with defocused christmas lights and copy space.